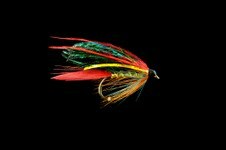 I am often asked about sea trout flies and which ones I find best. Let me say immediately that each river tends to have its own favourites, but there are certainly a few patterns I always carry with me. For me key standard size patterns would include flies such as the teal blue and silver, black pennell, kill devil spider, butcher, dunkeld and peter ross. I would generally have these in sizes 14 to 8 and a few “wee doubles”. One of my personal favourites is the Gold Alexandra. 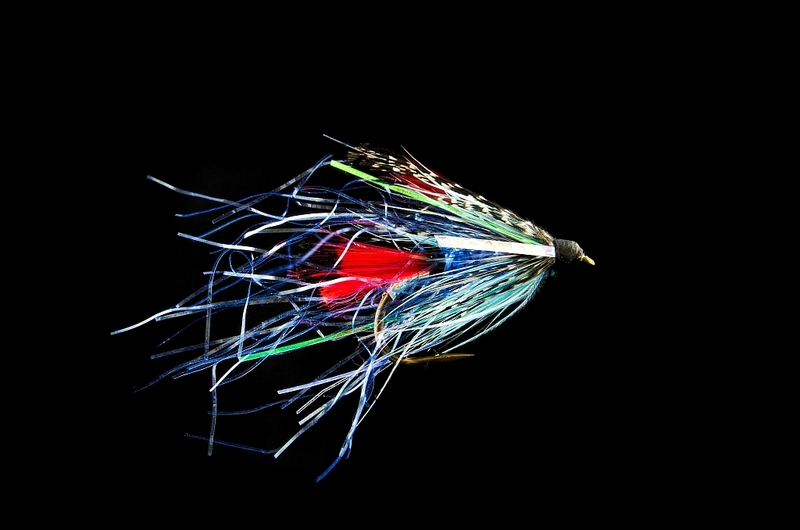 The variant I tie is pictured below. 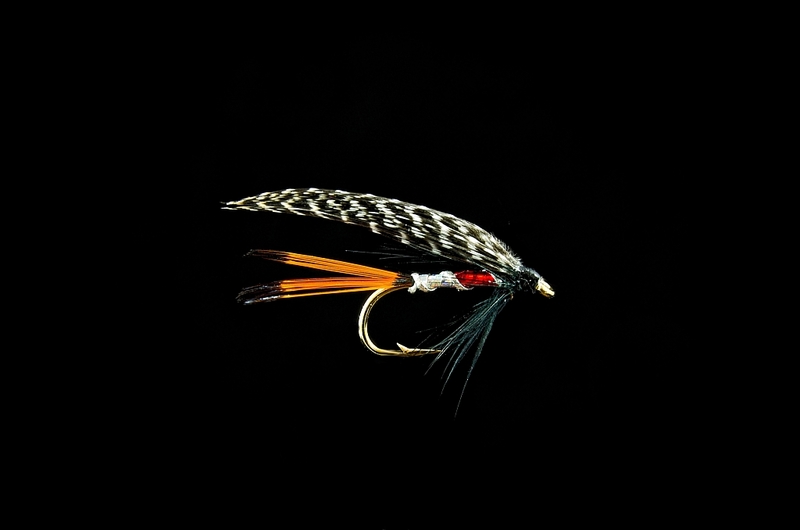 In the larger flies I fish mainly blue/silver patterns like the medicine fly, black silver patterns and orange and gold patterns. I find it useful to have a selection of flies tied on low water singles, doubles, tandems and a few snake flies. I tend to use two types of surface fly for night time fishing. 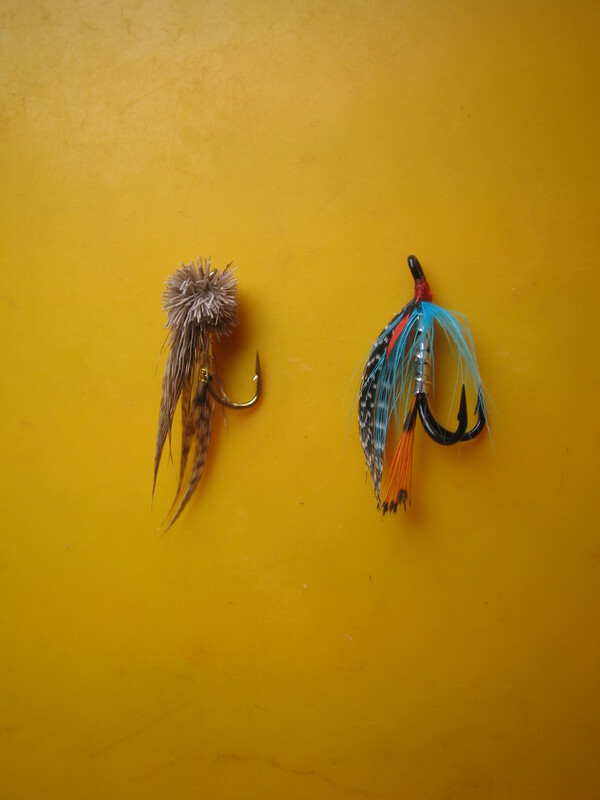 These would be foam type flies and also flies tied with deer hair (muddlers). As a general rule the darker the night the bigger the surface fly I fish. To conclude, having fished for seatrout on my local rivers for the past thirty years, my approach would be to have a small selection of patterns but be sure to have flies of various sizes, along with a few surface lures. 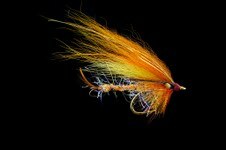 This entry was posted in Uncategorized and tagged irish flies, irish fly fishing, seatrout fishing, seatrout fishing ireland, seatrout flies by gamefishingireland. Bookmark the permalink.